Assam athlete Hima Das has been awarded the UBC Greatest Player Award of 2017. 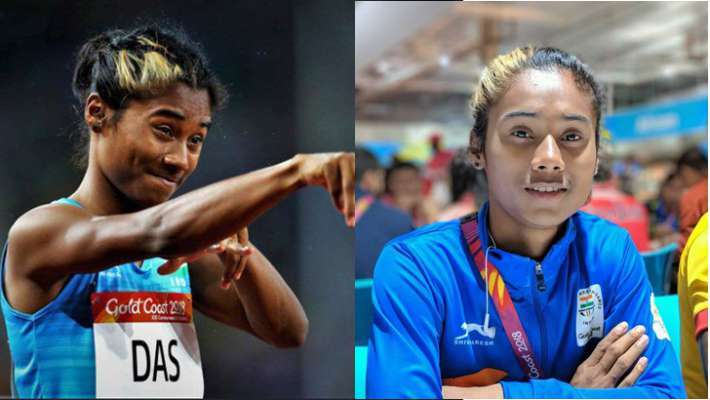 Hima Das is an Indian sprinter who rose to fame after she competed in the 2018 Commonwealth Games. She competed at the 2018 Commonwealth Games in both the 400 metres and the 4×400 metres relay. In the 400 metres Das qualified for the final where she finished sixth in a time of 51.32 seconds, 1.17 seconds behind gold medalist Amantle Montsho from Botswana. In the 4×400 metres relay she was part of an Indian team that competed in the final where they finished seventh in a time of three minutes and 33.61 seconds. Hima Das was born in January 9, 2000 in Nagaon.